Ayrshire Weddings Cars is an Ayrshire based company ideally situated for Ayrshire and Glasgow weddings and executive travel. Situated in central Ayr with over 8 years combined experience, we are known for providing our clients with the individual attention and the quality service that our reputation has come to demand. Attention to details and our commitment to excellence is what sets us apart from the competition, whether it is business or pleasure we will make sure that your Chauffeur driven car, Limousine or VW Camper transportation requirements always met with an unmatched level of Service. At any time and anywhere we provide vehicles for all your special occasions. Our range of services are listed below. We offer tailored packages to suit your individual needs. Ayrshire Wedding Cars offer some of the finest cars in Ayrshire, Glasgow and Stranraer for hire. Our beautiful silver Chrysler 300 (Baby Bentley), VW Camper or Beauford Bridal Car are some of the finest examples in the UK. We want you to have the perfect day, and so provide uniformed chauffeurs, bridal umbrellas (just in case) and flowers as part of our service. 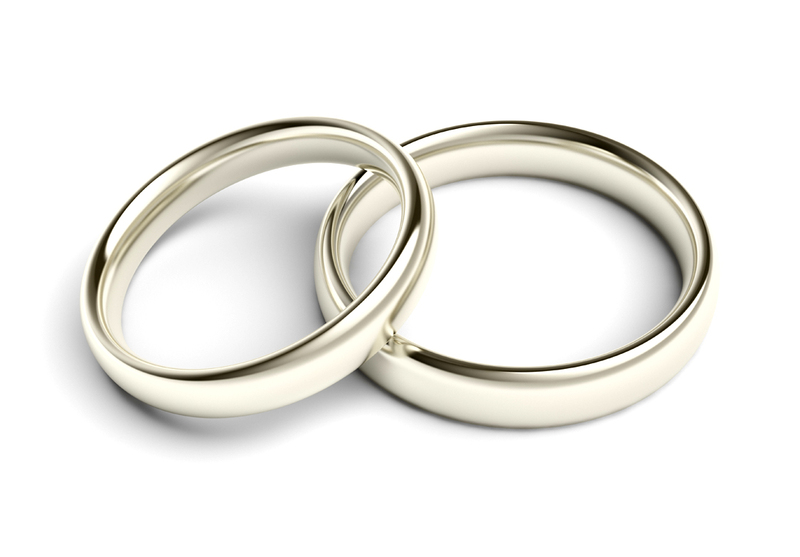 We are very reliable and cater for only one wedding a day to ensure no rushing! You are welcome to come and view our cars (click here to find out where we are). We fully recommend having a look at the cars available before you make your choice. Please contact us for a quote, to make a booking, or just to find out more. Week day and off-peak discounts are available. 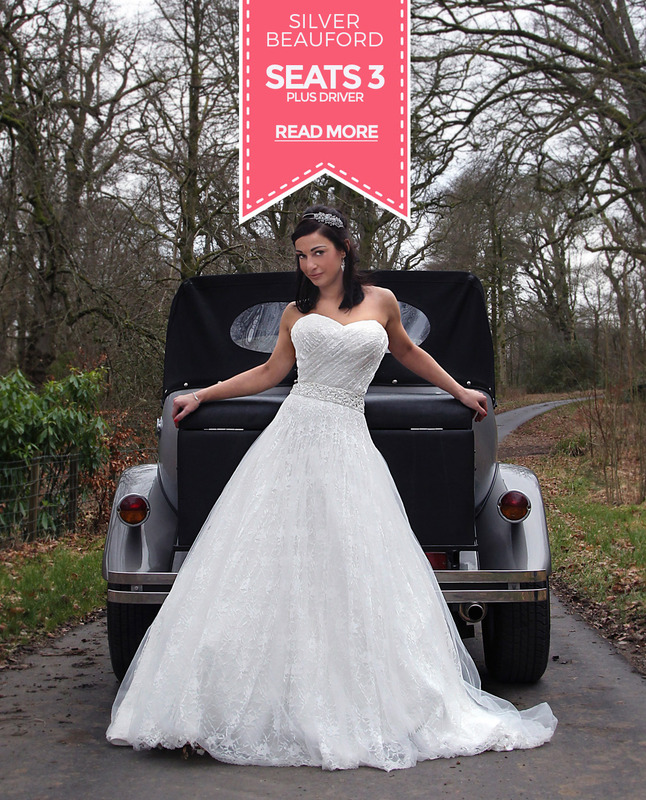 Ayrshire Wedding Cars specialise in the brand new, multi-award winning VW Camper. Our Silver Chrysler 300c sedans also have proven to be the choice wedding car for brides and grooms in the UK. Luxurious, elegant and stylish our the 300c will ensure you arrive in style on your wedding day. The VW Camper is by far the most exotic and well-travelled vehicle in our fleet of wedding cars. She was mostly used as a taxi in Sao Paulo in Brazil and was transported all the way to us in the UK where we started an extensive renovation project. We spent just under a year restoring her to here former beauty. Our VW camper van is an amazing option for couples looking for a wedding car with real character. Our VW Camper perfectly reflects the desire of couples who want their wedding to be unique. Our VW Camper is different because you will not normally see it at the average wedding. We are unique because of the emphasis that we place on quality of service. 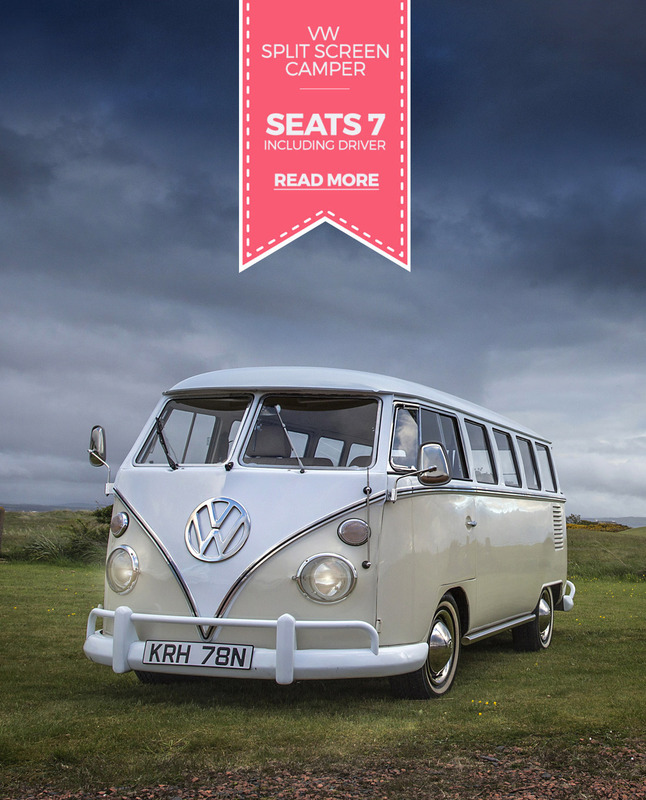 We are the number one business to go to for VW Camper wedding cars in Ayrshire.